IT was only 7.45am in what should be a deserted Mid Valley Megamall last Nov 14. An unprecedented queue, however, had already begun to stretch across the length of the mall’s third floor in anticipation of the opening of the mall’s newest tenant at 10am. It wasn’t a special opening sale nor were there goodies up for grabs. The tenant was neither a major international fashion retailer nor a celebrity chef restaurant. Instead, Malaysians had queued up for hours for boasting rights as the first few to enjoy a customised Magnum ice cream. 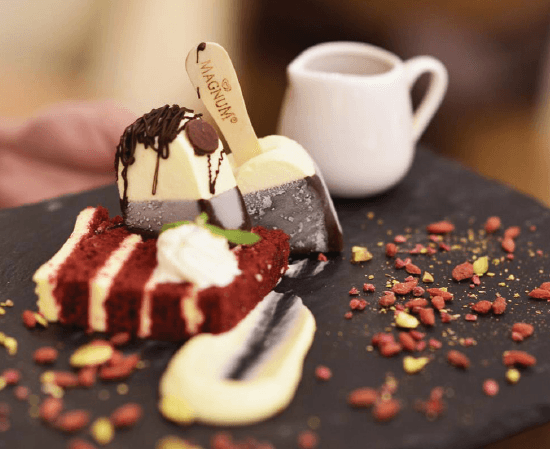 It marked the start of a persistent queue at the Magnum Kuala Lumpur ice cream café for the past few months, sparking a craze that had urbanites talking about and posting pictures of their “Make My Magnum” (MMM) customised ice cream sticks on social media. Shawn Tan, category head (ice cream) at Unilever (M) Holdings, said he was surprised at the instantaneous interest and crowd. “We didn’t do a big PR campaign for the opening — just a small countdown on social media five days before,” he said. The Pleasure Makers Booth is the moniker for its ice cream customising service, which is the main attraction at the café. 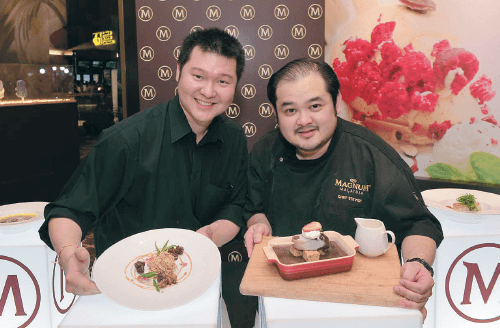 Tan said there were so many customers at the beginning that Magnum Kuala Lumpur broke the world record for number of Magnum ice creams sold in a day. “We sold 2, 200 ice creams that day. The initial average in the first two months was about 1,500 to 1,600 during peak periods on weekends,” he said. The average number of ice creams sold are now 1,000 per day, which are priced at RM9.90 each. Being caught off-guard also meant that the staff at Magnum Kuala Lumpur struggled to guide the crowd adequately. The long queues and inability to cope with the volume of trade, Magnum Kuala Lumpur’s initial reviews were scathing on social media. A recent check revealed a four-star rating on Facebook, though the negative reviews are still displayed. Four months on, weekends are still busy at the two-storey café, with queues both at the MMM parlour downstairs and a dine-in section upstairs that serves hot food and speciality Magnum desserts. At the heart of it though, Tan said that it is always about engagement. While buying a Magnum stick at the store is a one-way thing, he said the Magnum Kuala Lumpur café offers customers a two-way communication. “You can interact with the brand, you can share experiences about coming in and ‘hashtagging’ it. There’s something cool about having my own customised Magnum,” said Tan. Liew agreed: “From the ambience to the experience, we want them to be engaged in it.” She quipped that staff are expected and trained to take photos for the customers. This is why, despite impatient customers, Magnum insists on not rushing the customising experience. “[It’s] about two minutes per customer. We can’t do it any quicker as we want that engagement to take place,” said Liew. This is part of Magnum’s aim to bring an aspirational factor to ice cream. Tan said the brand has always tried to push something different and unique to their customers. Even the toppings for the MMM experience are divided into three categories — classic, experimental and special. “The chilli flakes and potato chip options have been well received,” he said. Not denying that the interest may wane as the trend fizzles out, Tan confidently stated that the challenge for the brand is then to continue to innovate and bring a sense of excitement. “I think that’s the difference between us and other restaurants, it’s not just about food,” says Tan. Still, being too experimental can be a mistake. For example, the Magnum Fries that come with a spicy chocolate dip has now been swapped for normal fries after customers consistently requested for ketchup or chilli sauce instead. “Next month, we will introduce some food which we think the market will like, like the Rendang pasta, Carbonara and Bolognese, and Caesar salad,” said Liew, which she referred to as comfort food familiar to Malaysians. Amazed at Malaysians’ love for ice cream, Tan said for now, Magnum will keep to its two locations in the capital city — there’s another café in IOI City Mall, Putrajaya — while looking out for strategic spots in other states such as Melaka, Johor or Penang. Observing how people would come in early in the morning just for ice cream, Tan half-jokingly said: “Maybe we should introduce a breakfast menu with ice cream.” We might just queue for that. This article first appeared in The Edge Financial Daily, on March 25, 2015.